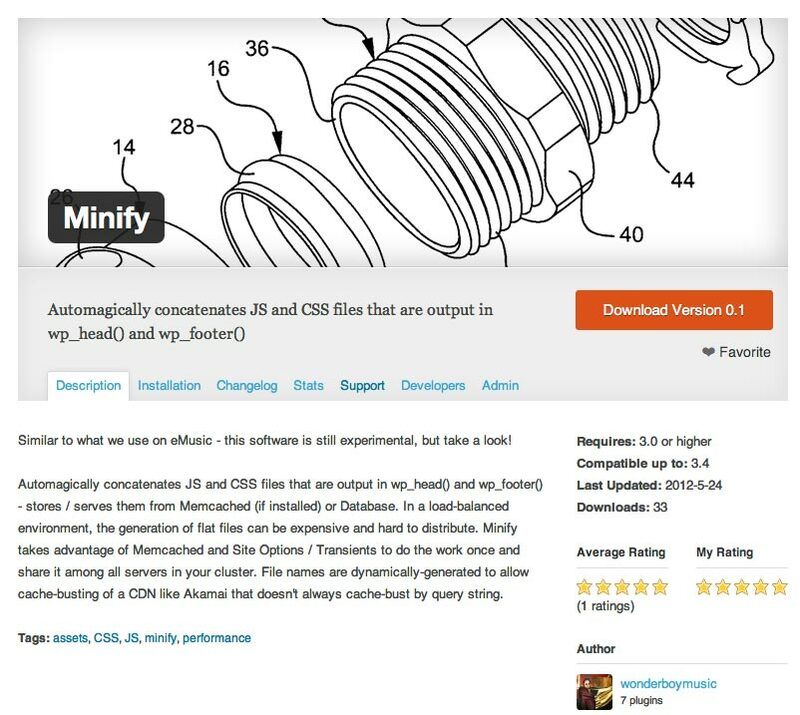 This entry was posted in Plugins, WordPress and tagged CSSMin, JSMin, Memcached, optimization techniques, performance optimization, Steve Souders by Scott. Bookmark the permalink. One thing that we built in our version last week was a filter of the css/js to ensure that all relative links are accounted for and made relative to the site root since there are css files in plugins etc. Did you include that in this plugin? This works great, thanks Scott. 1. make.php seems to be missing a semi-colon on line 25? 2. I needed to add a cache buster value to get it working (no default value). Anyway, it’s awesome, thanks again!